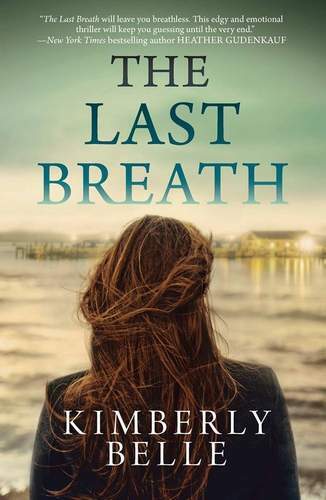 Kimberly Belle on happiness, THE LAST BREATH & a giveaway! 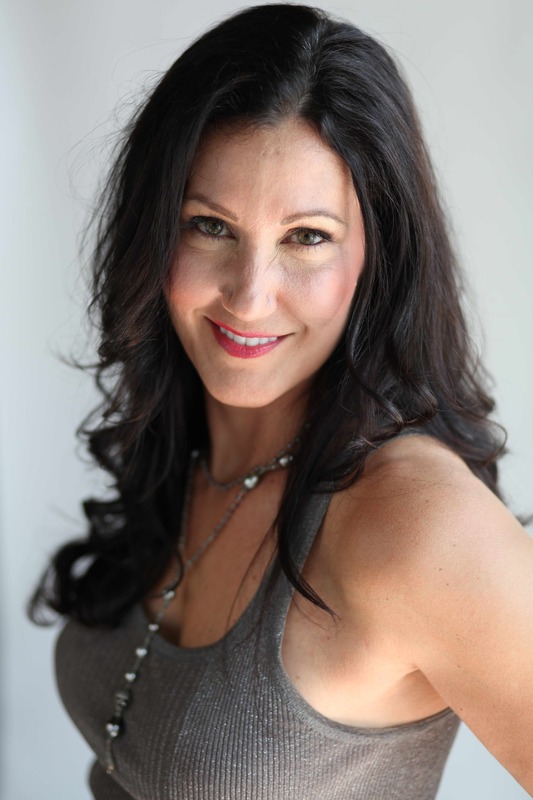 We’re thrilled to have Kimberly Belle — author of the suspenseful and emotionally charged THE LAST BREATH (Harlequin MIRA) — with us as this week’s debut guest author! Here’s the blurb: Humanitarian aid worker Gia Andrews chases disasters around the globe for a living. It’s the perfect lifestyle to keep her far away from her own personal ground zero. Sixteen years ago, Gia’s father was imprisoned for brutally killing her stepmother. Now he’s come home to die of cancer, and she’s responsible for his care—and coming to terms with his guilt. Whoa. Lies. Secrets. Death. An unraveling past AND an attractive hometown bartender 🙂 … put this one on your to-be-read lists, pronto! Amsterdam! I’m here through June with my husband and sixteen-year-old daughter, who’s doing a semester of high school here. We lived in the Netherlands long, long ago – my husband is Dutch and both kids were born here – but I gotta say, this place is making me so much happier this time around. Maybe it’s because my kids are older now and I don’t have to deal with strollers and diapers and public meltdowns, or maybe because we’re smack in the middle of the city instead of tucked away in the safety of the ‘burbs. Whatever it is, we’re enjoying every second. We bike to school and the gym and the grocery store. We wander down cobblestoned streets and along canals. We fill our house with tulips and dip our fries in mayonnaise. We’re playing tourist in our old home town, and it’s pretty darn awesome. My parents were the first in their families to get an education, and so there was never any question I would go to college. What I would study to become, however, was another matter entirely. The subjects I loved – English literature, foreign languages, history – my parents didn’t exactly encourage. Fine, they would say, but only if you plan to become a teacher. I most definitely did not plan to become a teacher. But what did I want to become? I had no idea, only that it needed to pay a living wage, or at least enough that I wouldn’t have to live out of my parents’ basement. I ended up majoring in psychology, a degree I did precisely nothing with in the job I eventually landed, as fundraiser for a non-profit. All that goes to say, I’m not one of those writers who penned her first novel in crayon. Writing was something I loved in theory, but it always felt like a pipe dream. Beyond the shaky economics of the profession, writing meant putting myself out there in ways that can be really, really uncomfortable. Writing a story and sending it out into the world is a humbling, unnerving, terrifying thing. Did I really want to roll over and show the world my underbelly? Did I dare? I guess my point here is this: if I’d listened, if I’d pushed aside my parents’ prodding and my own insecurities and fears and really listened to my teenage self, I would have known. I probably should have known. It took me longer to get here, to a place where I’m proud to say I’m a writer, and now that I have, I can’t imagine doing anything else. Tell us a secret about the main character in your novel — something that’s not even in your book. Gia Andrews is a humanitarian aid worker who chases disasters around the globe for a living. She’s a do-gooder with a gypsy soul, and her travels keep her far, far away from her own personal ground zero—Rogersville, Tennessee, where at the tail end of her senior high-school year, her father was convicted of her stepmother’s murder. Gia doesn’t have much in the way of material things – mostly because she doesn’t want to lug them around the globe – but she does carry a box of “home” with her wherever she goes. The box contains a framed picture with her sister, Lexi, a honeysuckle- scented candle, a See Rock City birdhouse ornament, and a bright orange University of Tennessee mug. All reminders of better times in the place she’s been running from for sixteen years, a place she secretly longs for as much as she dreads the idea of returning. Stop comparing yourself to other writers. Other writers will snag better agents, get better deals and more buzz, leave you and your little manuscript in the dust. Their books will get bigger advances and better reviews and more blurbs from bestselling authors. Sometimes it’s because their writing is better, and sometimes not. Do not compare yourself to them. Do not obsess about why, why, WHY they are doing so much better than you. Holding yourself up to someone else’s success will mess with your mind and your writing mojo. There’s always a bigger fish. The best thing you can do for yourself is stop obsessing about them and write a manuscript that’s better than your last. I can speak Dutch like a native. Without an accent and using all the slang a Dutch person would use. I know how the Dutch think and talk and act, and I know how to think and talk and act just like them. I love the look on their faces when they find out I’m American. It usually takes a couple rounds of “Really? Are you being serious right now?” before they believe me. Thank you, Kimberly, for stopping by! GIVEAWAY: Comment on this post by Noon (EST) on Friday, March 13th to win one of two copies of THE LAST BREATH! Follow The Debutante Ball on Facebook and Twitter for extra entries—just mention that you did so in your comments. We’ll choose and contact the winner on Friday. Good luck! Kimberly Belle grew up in Eastern Tennessee, in a small town nestled in the foothills of the Appalachians. A graduate of Agnes Scott College in Decatur, Georgia, Kimberly lived for over a decade in the Netherlands and has worked in marketing and fundraising for various nonprofits. She’s the author of two novels, THE LAST BREATH and THE ONES WE TRUST (August 2015). She divides her time between Atlanta and Amsterdam. Keep up with Kimberly on Facebook, Twitter, Instagram, and Goodreads. Thanks so much for having me here, ladies. I’m so excited and honored to be invited to the ball! Sounds like such a good book, it’s on my TBR list. I’ve been following The Debutante’s Ball on FB and Twitter for a while. how exciting to spend time in another country. And what an awesome experience for your daughter going to school there as well! Sounds like a great book! Would love to read! Oh joy another book set in the south. I grew up in the north Georgia mountains and never tire of reading book set in the south. The women always lead such interesting lives. Can’t wait to read. Hahahaha I love that your secret superpower is speaking Dutch. I don’t speak fluent Spanish, but I know enough to get by and it surprised some coworkers when they were saying something about me and I actually responded. Enjoy Amsterdam! *Thank you for the giveaway opportunity. I follow on Twitter and FB. This looks like a book I need to read. Starving to read. Been in school for too long. Thanks for the opportunity to break my book fast with this one. Thanks for the giveaway! Looking forward to reading it. Arrrrgh, I bet I’m too late (the story of my life!) Yes, I follow y’all everywhere. THE LAST BREATH sounds like an awesome, suspensful WF novel!